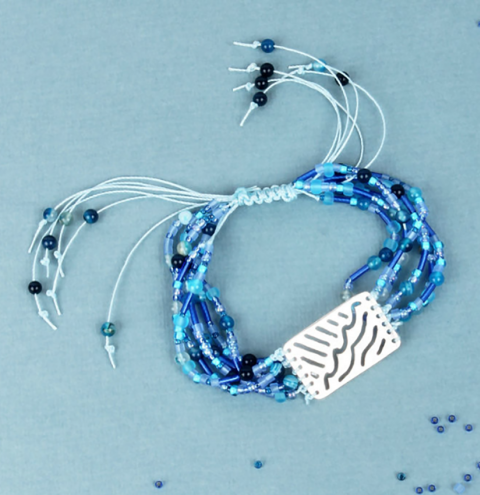 Learn how to make a delicate Summer bracelet with a feature connector charm at the centre. Cut x12 pieces of S-LON cord approx. 40cm long. Take the first piece and tie to one of the small holes on the edge of the connector, knot a couple of times and trim. Thread your beads randomly onto the thread or in your desired pattern and tie a knot. Repeat this until all x12 threads have x20 beads on. Cut a x2 pieces of thread approx. 40cm. you will use these as double thread to create a stronger sliding knot. 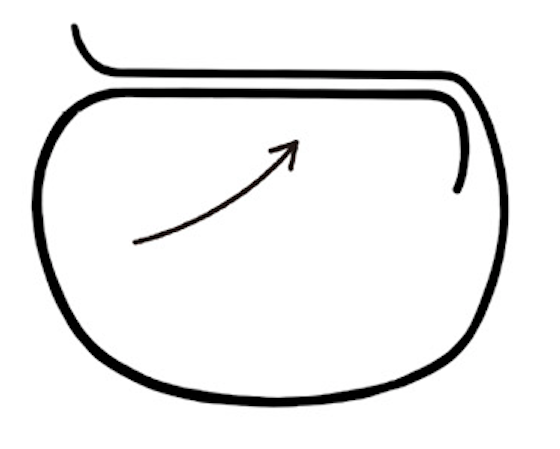 Cross the 6 threads from one side with the 6 from the other side as shown in the diagram. The arrow points to where you will make your macrame sliding clasp, capturing the 12 cords inside the knots. 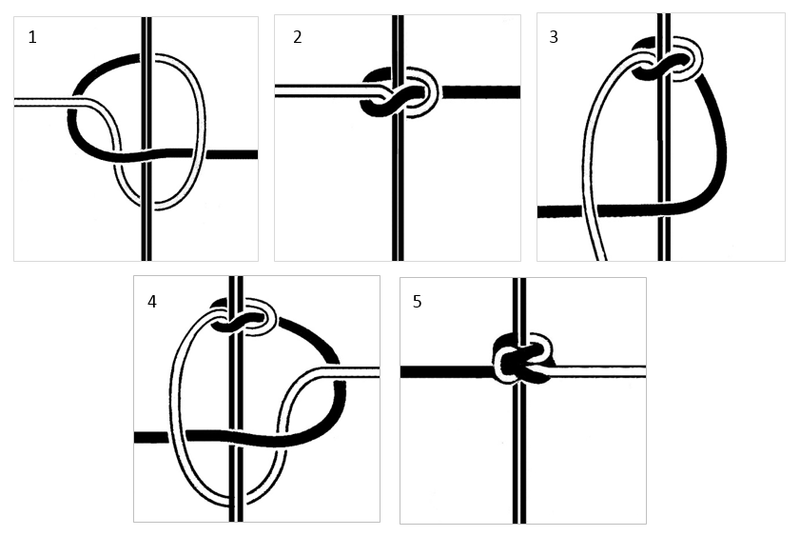 Create the sliding knot by doing x6 complete macramé knots. Follow the diagrams and the following steps to make one complete knot. Then repeat it 5 more times. Take your left hand cord over the centre cords and put the right hand cord over the left cord. Move the right cord under the centre cord and up through the middle of the loop on the left side. Pull the threads to finish one half of your knot. Repeat this process on the opposite side. Start by crossing the right hand cord over the middle cords. Take the left cord over the right, under the centre and up through the loop on the right side. Once you've made your sliding knot, knot the ends together on the underside of the sliding knot and trim. Add a dab of glue to this to secure it. Make sure not to let your glue soak through to the middle cords which will need to slide through so you can adjust the bracelet. Thread x1 bead on to each strand and knot, leaving a length long enough to get your bracelet on and off. Repeat until all strands have beads for 6 stands on each side.